So awhile back I mentioned a top secret photo shoot I was working on well I am finally able to share the fruits of our labor. It is all about California Boho and I am completely smitten. We wanted to evoke the feeling of a roving gypsy caravan that stopped in the wilds of California and threw a gorgeous bohemian wedding al fresco. 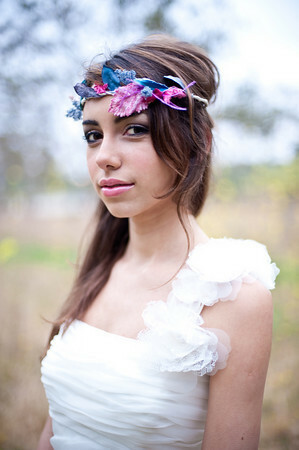 Think bright, wild blooms mixed with antique gold and feathers. Lots of feathers. Head over to The Sweetest Occasion for the full post in all of its bohemian glory and leave us some love in their comment section if you feel so inclined. 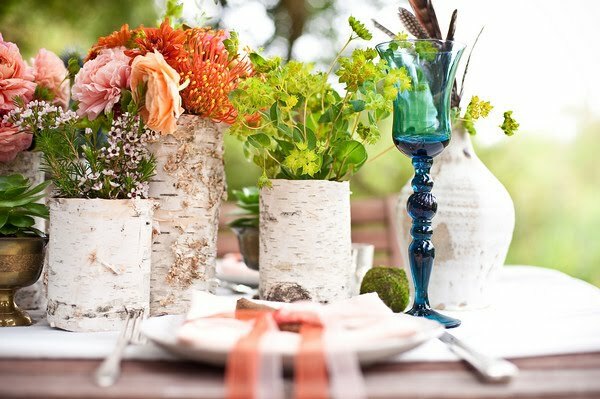 Are those white birch tree trunks used as vases in the first photo? So sweet. :) Would love to know where this was shot! Yay! I'm so happy you all like our shoot! It took place at Marian Bear Memorial Park in San Diego. http://www.sandiego.gov/park-and-recreation/parks/marbear2.shtml A gorgeous retreat in the middle of the city. you all did an incredible job!! everything turned out amazing!! What a wonderful job!!! 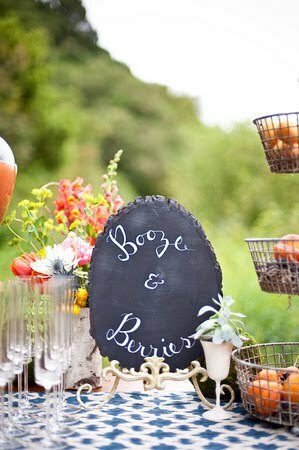 Love the table setting...and the booze and berries sign is super cute!!! WOW. this is just stunning - so whimsical!! absolutely, beautifully, amazing. im so in love with it. You are so talented Erin! You make me actually want to get married, lol! 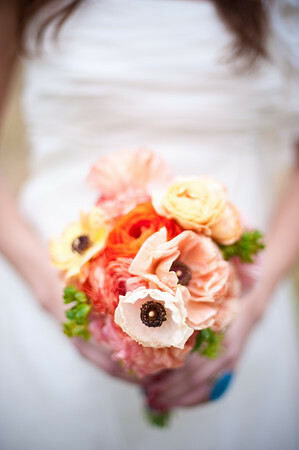 If you don't mind me saying, you are a true romantic, and you don't get tied down by formalities in a wedding. You focus on sensuality, and most importantly, natural love! You've got a great thing going, and you'll get far! Lots of love to you and Chuck! Sad we didn't get to see you again, but maybe we could pull another bar night if I roll through Boston. I love the colors!! Actually I love everything about this shoot! Amazing job!! !